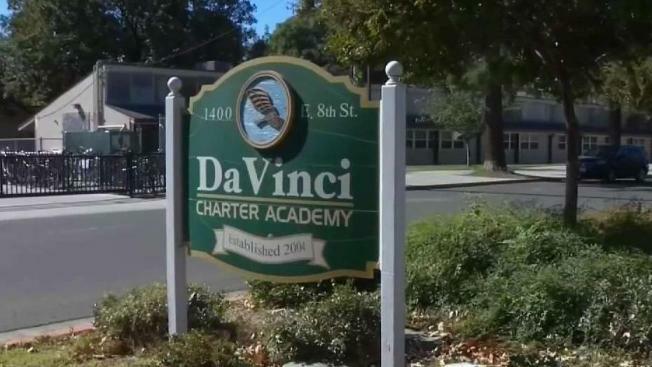 Two students at Da Vinci Charter Academy in Davis reportedly gave their classmates cookies baked with human remains a couple of weeks ago. A high school student mixed her cremated grandfather's ashes into homemade sugar cookies and shared them with several classmates, Davis Police said Wednesday. A classmate who told KCRA that he unknowingly took a bite of one of the sandy-textured cookie said he believes they contained human ashes. "She had mentioned her grandpa's ashes before," classmate Andy Knox said. "I didn't believe her until she pulled out the urn," Knox said. "She told me there's a special ingredient in the cookie." He said he became worried after tasting the cookie. "I thought that she put drugs in it or something," he said. Knox said the girl laughed and said the cookie contained her grandfather's ashes. "And I was really, I was kind of horrified," he said. He took only one bite. "If you ever ate sand as a kid, you know, you can kind of feel it crunching in between your teeth," he said. "So, there was a little tiny bit of that." Doroshov said he and investigators are at a loss to identify a motive. "They're juveniles and it's not a heinous or serious crime," he said. There was no public health risk either, he said. "I really don't think it fits into any crime section," Doroshov said. He said investigators looked at an obscure law making it illegal to mishandle human remains, but said "this isn't what that law was intended to stop." He said police will let the school handle the matter. Da Vinci teaches 580 students in grades 7-12 and describes itself as a technology-based school. Principal Tyler Millsap said in a statement posted on Facebook and emailed to parents that the incident "has been particularly challenging and we have responded appropriately and in the most respectful and dignified way possible." He said those who were involved "are remorseful and this is now a personal family matter."